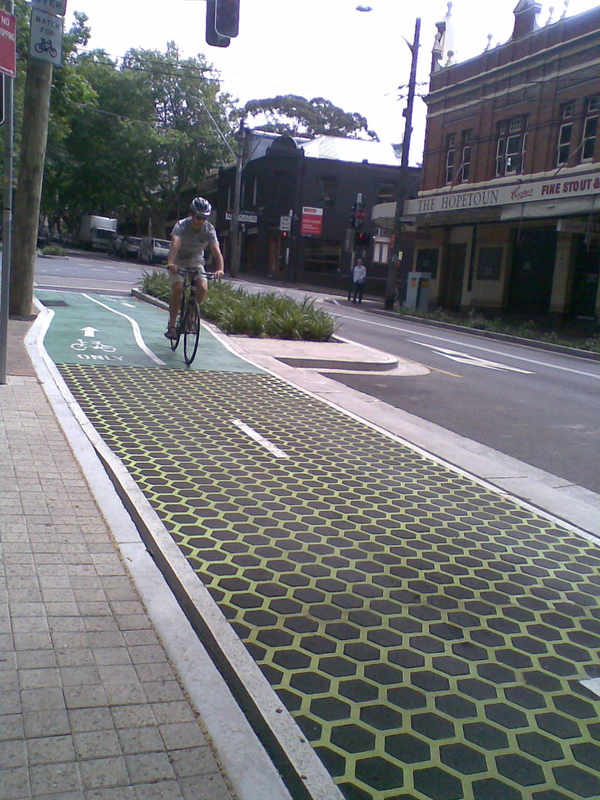 Today I had cause to visit Sydney and decided to look at the new bike lanes there, especially the one in Bourke Street, which is long and completely separated from the car traffic. 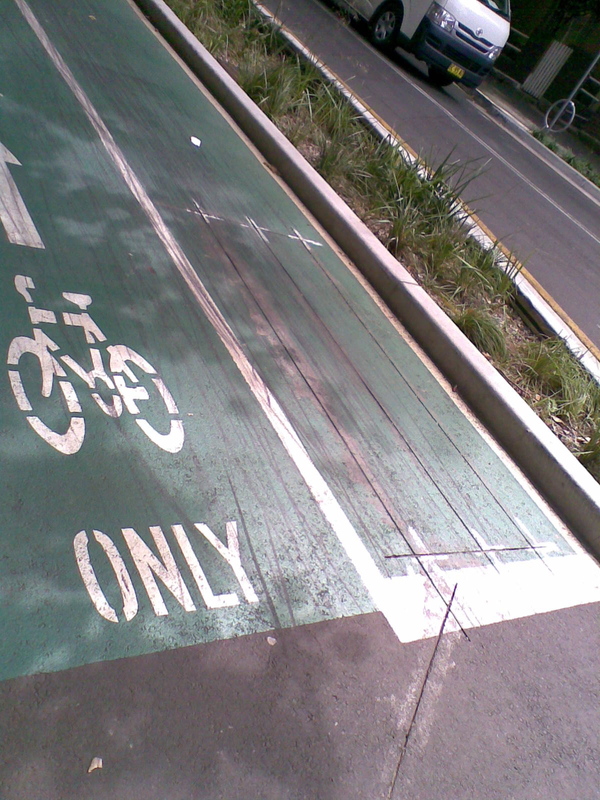 There are two lanes of car traffic, car parking lanes on either side of them, then the two way bike lane. 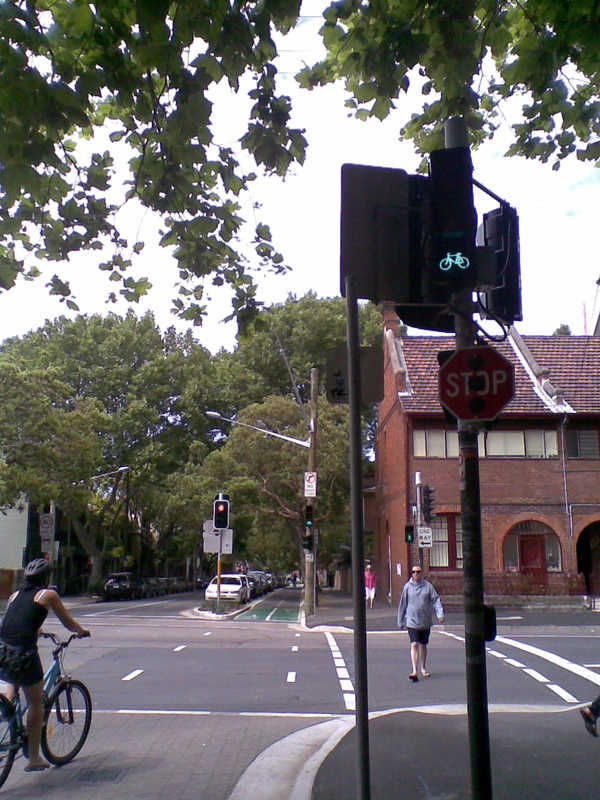 There are warning markings on the lane when approaching traffic lights sensors in the road change the lights for bikes I was a pedestrian only on this street and I found it to be the most pleasant street in Sydney. I am sure this is an objective judgement and not just a reflection of my love of bikes. 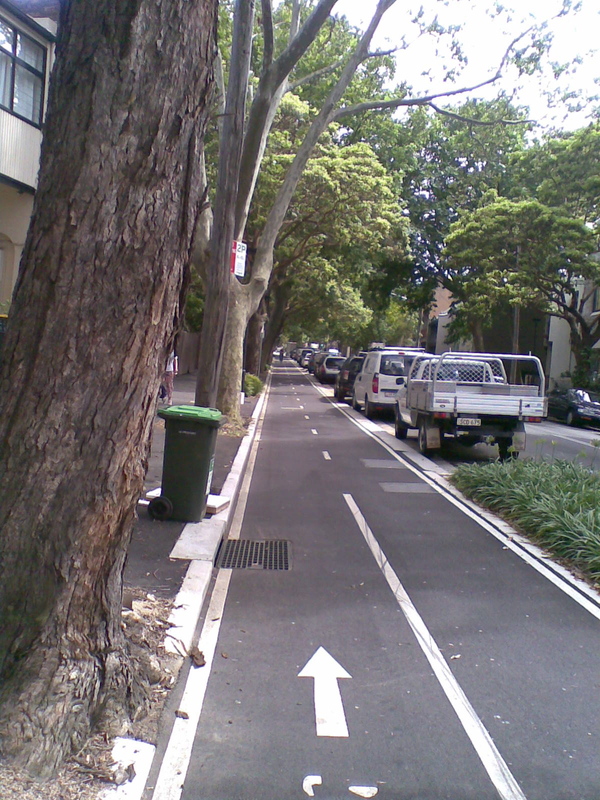 The street was shaded with trees, as were many others, but the addition of the bike lane gave it a peacefulness and tranquillity which other streets did not have. I am sure it is the addition of the bike lane, insulating pedestrians from the car traffic. It appeared perfectly safe and I even saw a man with his child on his bike Surely a sign that the lane is considered safe. To me it looked like a dream come true for bike riders and also an example of what a city could be like if bikes were the normal way to get around rather than a minority’s choice. 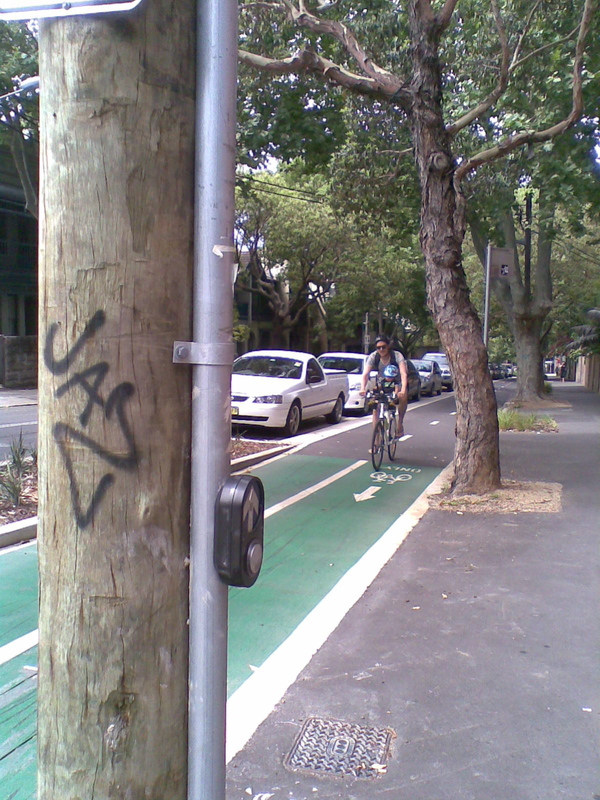 This entry was posted in bicycle culture, Bike Lanes, Street cyclist and tagged babies, bike lanes, cycleways, street cyclist, Sydney. Bookmark the permalink.